Micro Fine Glitter Ritz is half the size of ultra fine glitter. It adds a subtle elegant sheen to your cards and craft projects. Each opaque and transparent highlight shade comes in a 1/2 ounce jar. 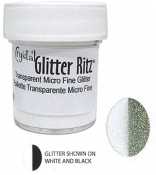 You can now stamp an image using the Essentials Glue Pad (below), apply Glitter Ritz and see your image in sparkling detail. 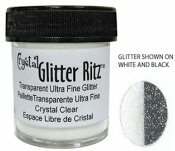 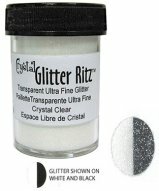 You will find additional information on a variety of Glitter Ritz techniques by viewing the video demonstrations link below. 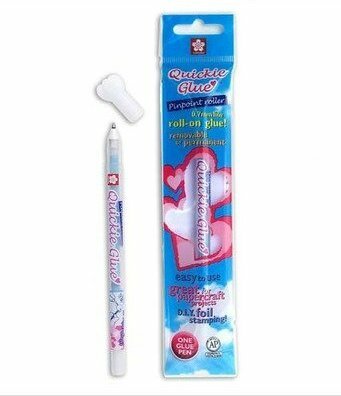 Control glitter definition and fine highlights or write text using the Quickie Glue Pen (below) and Glitter Ritz. 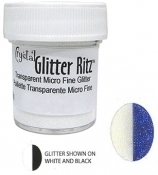 Be Creative (Sookwang) Tape (below) is a double-sided adhesive and the perfect adhesive medium for use with Glitter Ritz. 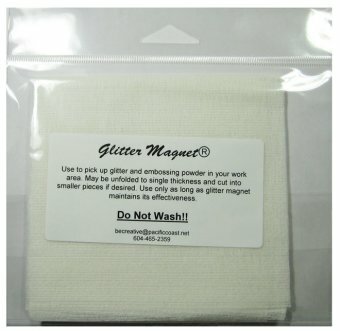 It comes in individual 8" X 11" sheets or various roll sizes. It is acid free, heat resistant and can be punched into shapes and used with your die cuts. 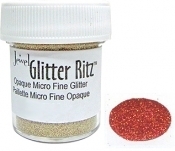 You will find Glitter Ritz "burnished velvet" will inspire your artistic creativity. View our "Glitter Ritz Card Gallery"
International Orders: Please contact me at anne@stonehousestamps.com for shipping charges. Our shopping carts are set up for U.S. orders only. 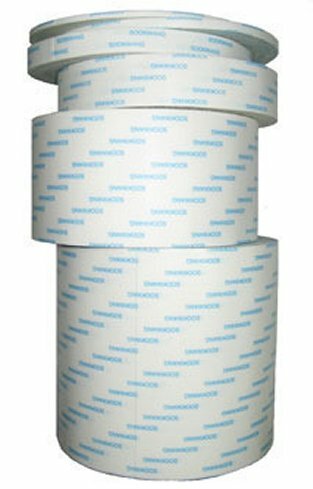 Sookwang Tape is a top quality, double-sided, acid free and heat resistant adhesive. 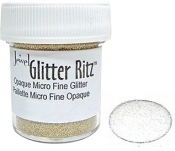 It can be used with your punches, traditional die cutting machines and the Cricut. 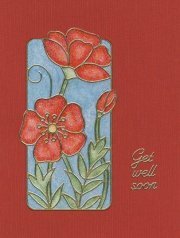 It is thin enough to layer on cardstock, use with mixed media art and for scrapbooking. It is best known for the adhesive tape used with Glitter Ritz to create the burnished velvet technique. 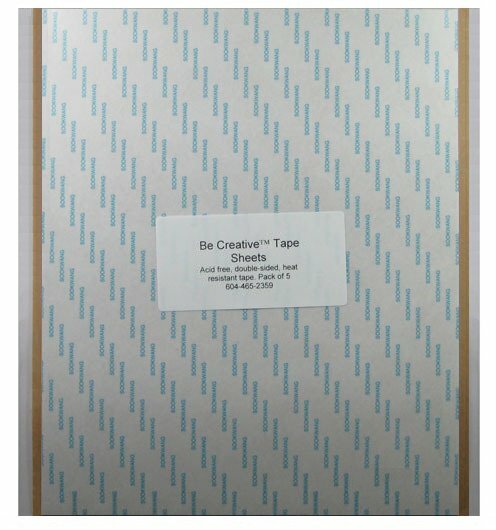 You will get 77 feet on all tape roll sizes. 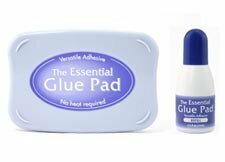 We now stock the Tsuneiko Essential Glue Pad, Essential glue refill and Sakura Quickie Glue pen that have all been proven to work well with Glitter Ritz. View our Video Demonstrations link for more details on project techniques.